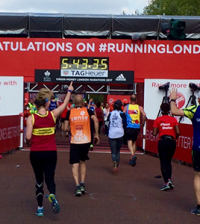 Home > Brand news > Do you need to train with a heart rate monitor? 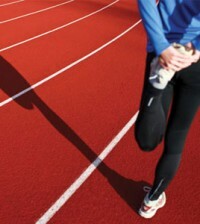 Do you need to train with a heart rate monitor? 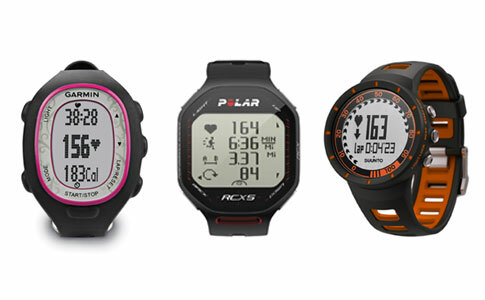 We asked Polar’s Performance & Training Manager Elizabeth Shenton to talk us through the benefits of tracking your heart rate when training. Heart rate monitors can help you stay motivated by recording your exercise data and allowing you to set targets across a range of different exercises and activities, so you’re always training at the right level for you and your body. There are many different types of heart rate monitors on the market ranging from those catering for professional athletes right across to first timers. Choosing the correct product will help you to achieve your fitness goals faster. Monitoring your heart rate is the best way to show how hard you are working during a training session – using one ensures you train in the most efficient way to reach your goals, whether it’s getting fit or achieving a personal best time in your next event. Heart rate training is based on training at intensity zones that are determined from a percentage of your maximum heart rate. This ensures that you’re performing at the required intensity in order to reach your end goals whether that be fat burning or improving performance. A good value option from a trusted brand that will track your time, heart rate and calories and can also be combined with a wireless foot pod to record distance and speed. It’s easy to set up and use making it great for beginners. Moving up a notch this watch offers excellent value for money with realtime heart rate monitoring, interval timers, and a stopwatch with laps. 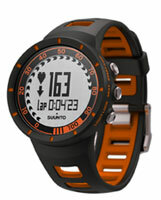 Suunto also provides an excellent free on-line community at www.movescount.com here you can share and analyse routes and performance. Designed for people who have an interest in a number of endurance sports this can be used on the road and in the pool and provides sport specific data from your training. It comes with a compact GPS unit and the ability to set your race pace making it perfect for event preparation.